We chatted to Candice Lemon-Scott, author of Jake in Space, about Eco Rangers, her exciting new middle grade adventure series with environmental themes. Candice also shares some of her tips for aspiring authors and talks about the most influential books on her writing. How did the idea for Eco Rangers come about? 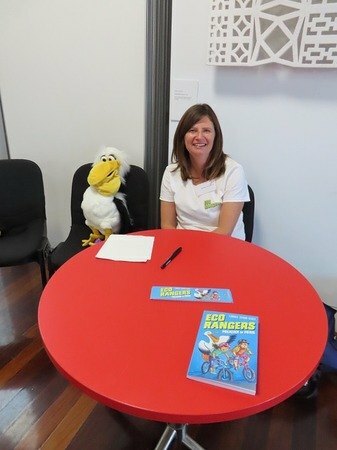 I was first inspired to write the Eco Rangers by my own love of nature and wildlife. My children have followed in my footsteps and are keen animal lovers as well, so the idea of having two kids, Ebony and Jay, who rescue and rehabilitate sick and injured wildlife came easily. The story also developed from my interest in how wildlife carers help in our community when I had to rescue a koala from my own backyard. Of course, I did all the wrong things saving this koala, but I've since completed my wildlife carer certificate and have learned a great deal more about how rescues are conducted and the important work our carers do. 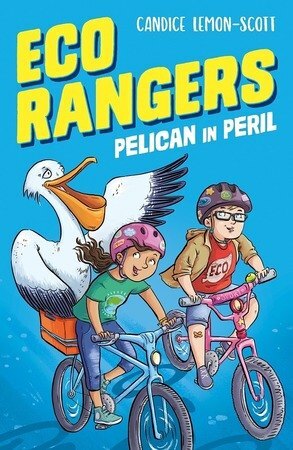 What was it like writing Eco Rangers: Pelican in Peril compared with your previous books? Because I care about the fate of our wildlife and am concerned about the environmental impacts they face, I felt particularly passionate about writing this book. I still loved incorporating a fun mystery adventure in this story like I have in other books, but Eco Rangers is especially dear to my heart. I also had to do a lot more research than I first imagined - finding out a lot about pelicans, how they are rescued and released back into the wild, and the different threats they face in their environment, was all needed to write the book. Who are the authors that inspire your work most? As a child, I read every mystery and adventure story I could get my hands on, so I'm very inspired by those writers of my childhood such as Enid Blyton, Arthur Conan Doyle and Julie Campbell Tatham, who wrote the first Trixie Belden mysteries. How do you find the writing process? Do you have any habits or routines? I never really know when or how I'm going to be inspired to write but usually I need to spend quite some time daydreaming before a story comes to me and I can begin to write. I like to write my ideas down on paper first, and then when it comes to the writing I type it on my laptop. I don't really have a set writing routine because I write when I feel the story is there, and when I have the time in between running a book exchange and raising a family. The most important thing for me as an author has been to spend as much time as I can reading and then as much time as I can writing. I would advise aspiring authors to do the same because, like any art, it's all about practising your craft. It's great if you can also get to workshops or courses to learn more, and to get feedback on your writing from other people who write. Also, don't forget to allow time in this busy world for daydreaming and imagining. 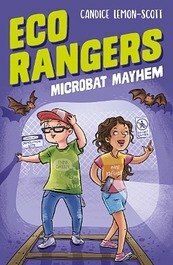 Look out for the next book in the Eco Rangers series, Microbat Mayhem, which will be published by New Frontier in June! The Eco Rangers, Ebony and Jay, are having so much fun at the local adventure park. But when they find two abandoned baby bats, they rescue them right away. Then they discover more microbats inside an old rollercoaster ride. Can the Eco Rangers save the animals in time before the ride is destroyed?